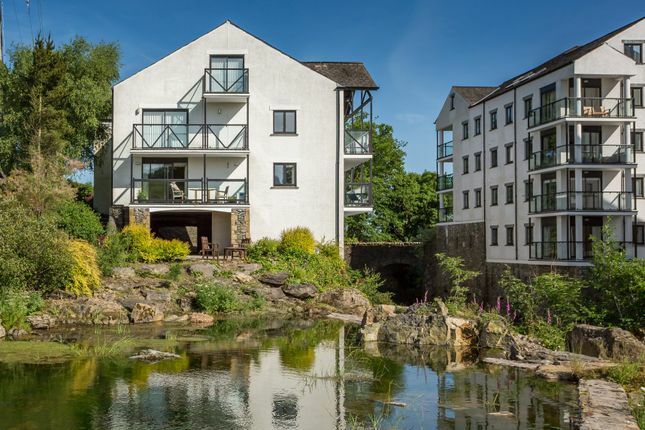 An extremely impressive apartment, currently comprising two bedrooms however has the space and potential to increase, situated in one of the prime positions within the ever popular riverside development of Cowan Head, with stunning views over the mill pond and fells beyond. 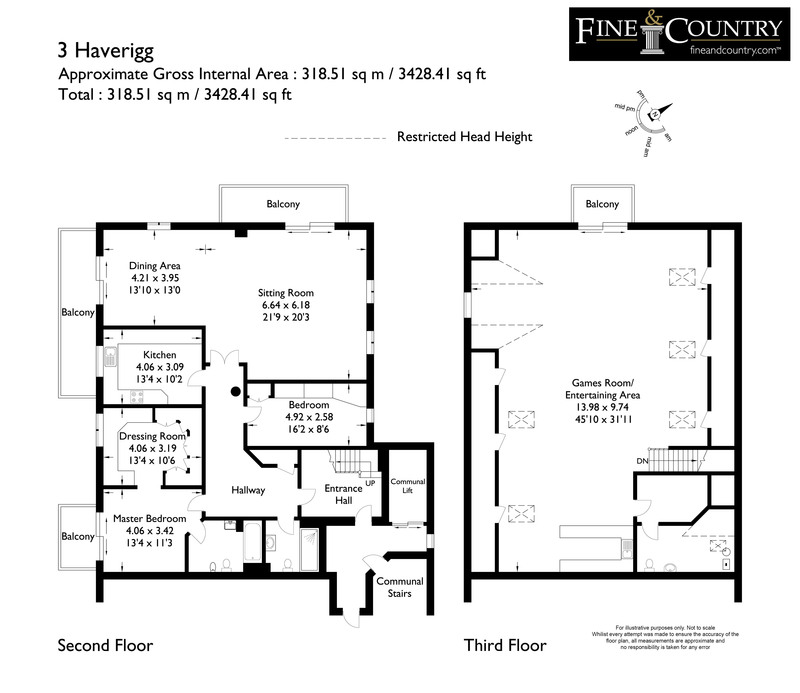 3 Haverigg is arranged over two floors providing spacious living with two double bedrooms, breakfast kitchen, open plan living area & a games/entertaining room. This apartment is extremely well placed and internally very well presented throughout and we recommend further inspection not only to appreciate the position of the apartment but also the space and superb views it offers. The Cowan Head development is very well managed and offers a high level of privacy and security, only a few minutes drive from the busy honey pot of Bowness on Windermere and the lake, the market town of Kendal which has a west coast main line rail station link to London and Junction 36 of the M6. Privacy is maintained with the development being for the exclusive use of residents and a restriction against holiday letting. Set in the heart of the countryside in the high quality riverside development of Cowan Head, this apartment is ideal for relaxed permanent living, or as a personal bolthole, with unique on-site facilities available all year round. Entering 3 Haverigg into a large entrance hall with Video entry phone and alarm system, the thoughtful layout of this property leads into the open plan lounge and dining area offering an excellent triple aspect room with both river and views of the golf course and surrounding fells. The two sliding patio doors open out on to balcony terraces and allow unobstructed views of the pleasant surroundings, with more than enough space for outside seating areas. There is an integral bose sound system installed in the property making this the ideal place for entertaining. The apartment benefits from a large and very useful storage cupboard. Into the kitchen, where there are a large range of white wall and base units with integrated appliances including Jackson 4 ring electric hob, oven, extractor fan, dishwasher, fridge and freezer. Quality work surfaces and white inset 1 1/2 sink. 3 Haverigg benefits from a generous sized master bedroom, with patio doors leading to a balcony overlooking the river Kent. An Archway from the master bedroom leads into a large range of fitted floor to ceiling wardrobes and low level drawers and dressing table. To complete the master bedroom is finished with an ensuite comprising, spa bath with Victorian shower attachment, bidet, WC and vanity unit with inset wash hand basin. Fully tiled walls, shaver socket, down lights and extractor fan. The second bedroom could also be utilised as a study and comes complete with fitted wardrobes, which houses 2 single pull down beds. Fitted drawers and corner desk complete this bedroom/study area. A fully tiled, 3 piece white suite comprising of a large walk in double door shower unit with Bristan shower, WC and vanity unit with wash hand basin. A huge advantage to complete this stunning apartment is a large area which is currently arranged as a games room and entertaining area, but could equally be 2 additional bedrooms. To one corner is a built in bar, which has a stainless steel sink unit. There are wooden beams to the ceiling and 6 Velux windows. Sliding patio doors lead to a balcony and seating area overlooking the river Kent and the golf course. There are several storage areas under the eaves. Off the games room is another storage area and a separate cloakroom comprising of a white pedestal wash hand basin and a WC. There is also a pre insulated hot water cylinder and a Valiant boiler. Access to a large and useful designated storage area from the communal ground floor entrance area, with individual, lockable, storage rooms and a storage area for bins and recycling. Set in 47 acres on either side of the River Kent the residents of Cowan Head enjoy the benefits of private riverbank fishing for brown trout and salmon in the season, an indoor swimming pool with Jacuzzi, sauna and steam room together with a delightful 9 hole well maintained practice golf course. 3 Haverigg also benefits from 2 designated undercover parking spaces positioned for easy access. Directions From Kendal take the A591 Windermere Road towards Windermere and travel as far as Plantation Bridge filling station and then take the first turning right, signposted "Cowan Head 1 mile". At the bottom of the hill, turn left to Cowan Head and proceed through the electronically controlled wrought-iron gates on the right. Haverigg is round to the right over the bridge and is the building in front of you. Services Mains water, gas, electricity and drainage. Property descriptions and related information displayed on this page, with the exclusion of Running Costs data, are marketing materials provided by Fine & Country - Lake District, and do not constitute property particulars. Please contact Fine & Country - Lake District for full details and further information. The Running Costs data displayed on this page are provided by PrimeLocation to give an indication of potential running costs based on various data sources. PrimeLocation does not warrant or accept any responsibility for the accuracy or completeness of the property descriptions, related information or Running Costs data provided here.